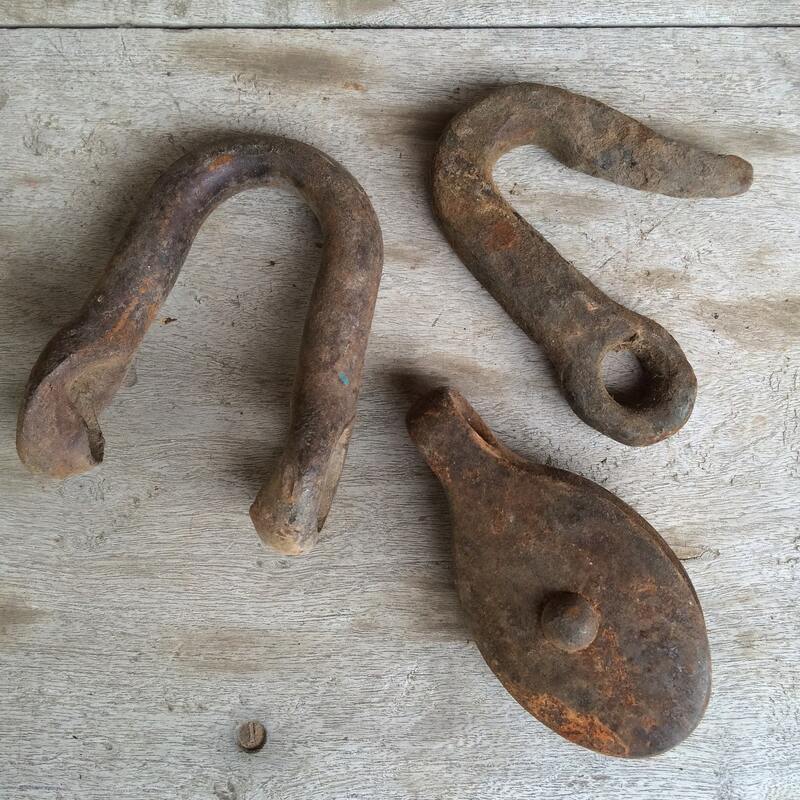 Here we have three rustic implements that came from an old New Mexico farm near the Rio Grande, all of which were found inside the pictured tool box. 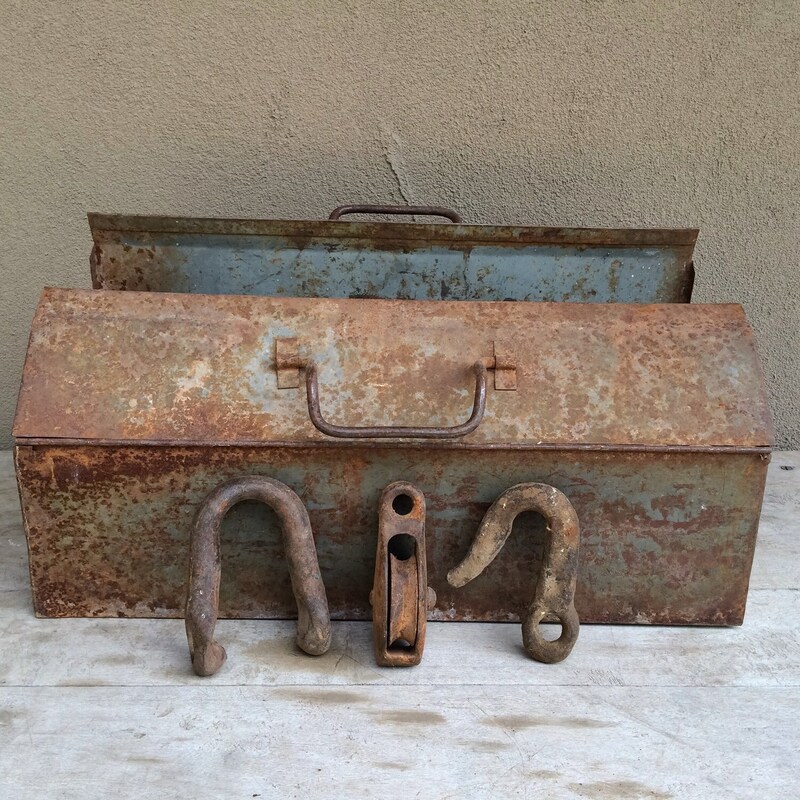 The toolbox is not for sale in this listing but all three tools are included: U tow hook, regular hook, and small pulley with working wheel. The three would be great decor as is or could be used for hanging plants or pendant lighting in an industrial chic loft. 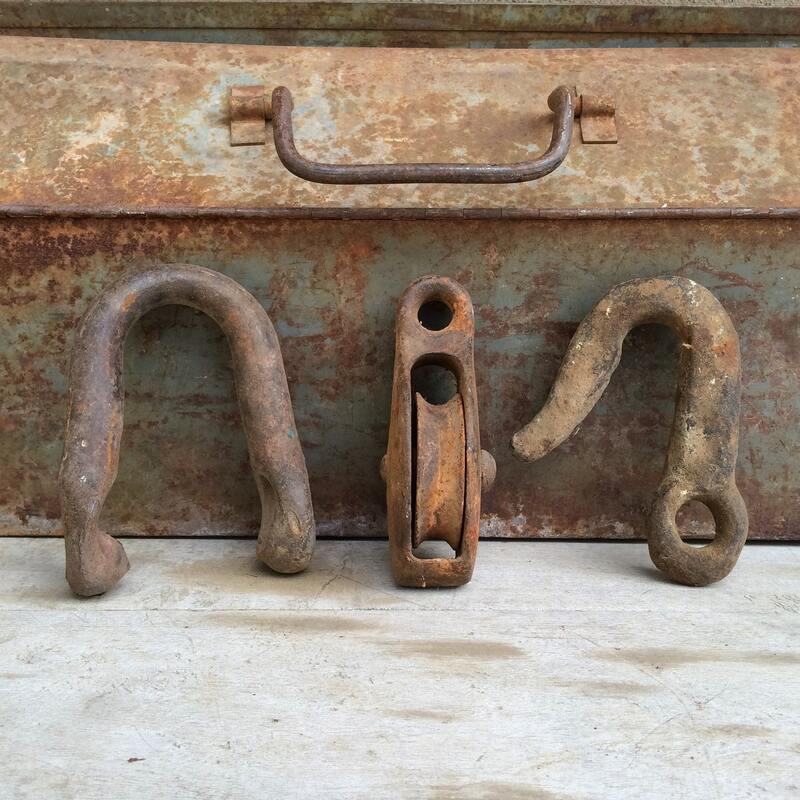 The U tow hook measures just under 4" across and about 5-12" top to bottom by about 2" thick at the ends. The other hook measures just under 4" across and just about 5" top to bottom by about 7/8" thick at its thickest point. 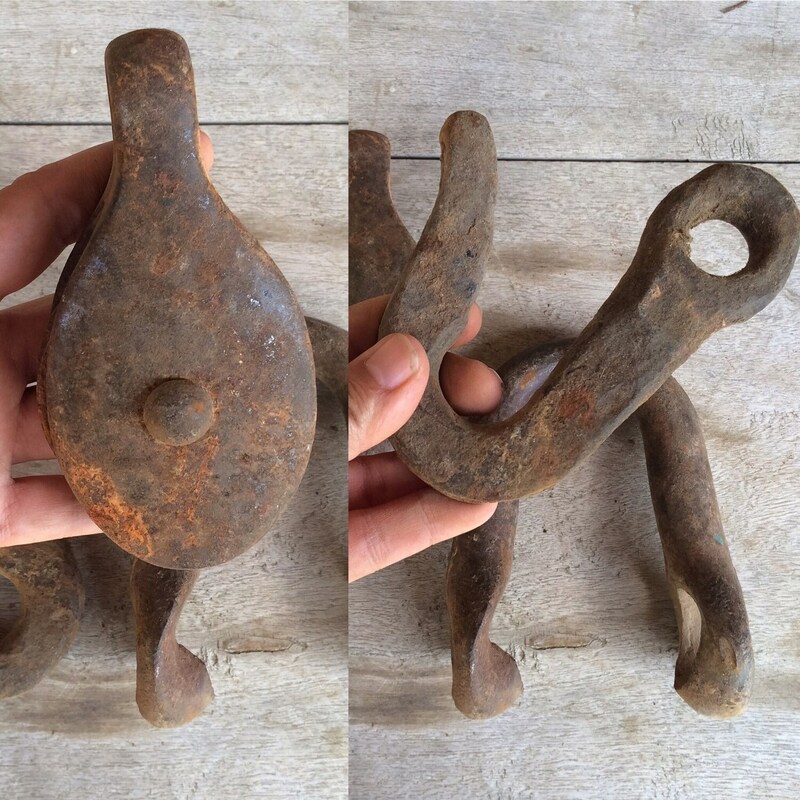 The pulley measures about 2-5/8" across by just over 5" top to bottom and is about 1-1/8" thick. 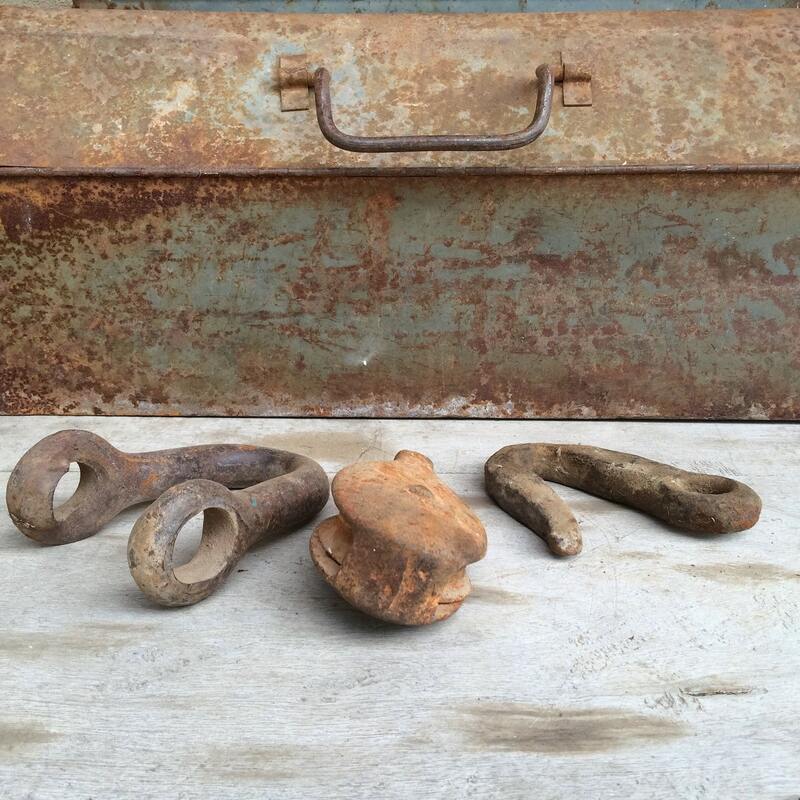 All have beautiful rusty patina, and are in remarkably good condition given their age. Industrial project or industrial chic.